An independent investigation was opened by European football’s governing body into City following allegations published in German magazine Der Spiegel. 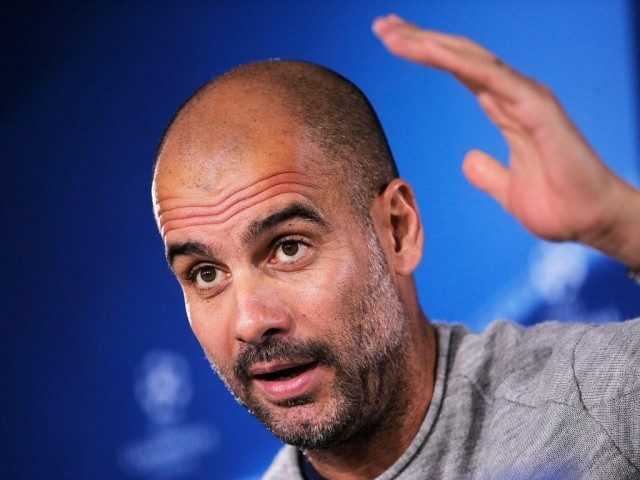 Reports claim City could be banned from the competition if any financial wrongdoing is discovered and Guardiola is hoping the matter will soon be concluded. “UEFA is doing what they’re doing. If [they] found something the club will make a statement and I like to do that because we’ll know exactly it’s going to be finished,” he told a news conference after the Watford match. Meanwhile, City’s victory saw them move five points clear at the top of the Premier League ahead of second-placed Liverpool, who play on Wednesday. Guardiola’s side dominated for most of the game but were made to hold on in the final 10 minutes after Abdoulaye Doucoure’s late goal and the City boss admitted it was an unnecessary finish. “We had in mind that in the last minute an equaliser could have happened,” he said. “But we played 65, 70 minutes at a top, top level, we were so aggressive, we regained a lot of balls, they had one killer chance with Deeney but we had many. “After 2-0 we lost a little bit of our control. We suffered but it is what it is. Last season we won against Southampton in the 95th minute, that’s football, we cannot expect to score the third goal and we concede one and don’t suffer, that is normal. It happens in this kind of game. Guardiola said his side will learn from the game after missing chances to kill off the game before the late drama.